The identification and analysis of specific cellular sub-populations is one of the many essential uses of flow cytometry, especially given its ability to multiplex and identify several markers simultaneously. However, a powerful instrument which can both detect and analyze the plethora of colors utilized in such an experimental setup is required to accomplish this task. Blood sample immunophenotyping is one of the more popular uses of multicolor flow cytometry. 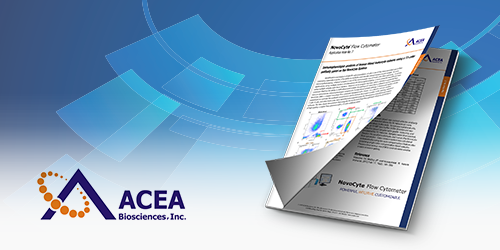 Here, we demonstrate how to perform an immunophenotypic analysis of a human blood sample utilizing 13 fluorescent markers using a compact benchtop flow cytometer equipped with 3 lasers. How a compact benchtop instrument provides the best value and makes flow easy for all users!